Honest Deed and Hello George are among the entries who could battle out the finish in the Men’s Open race, which is sponsored by Mr & Mrs Peter George. Honest Deed for the Dean Summersby team won the Men’s Open here at the January meeting under Darren Edwards, and should go close again if following up on that form. Hello George has previous form when with the Phillip Hobbs yard, scoring a hurdle race at Newbury in 2017. He is now owned, trained and will be ridden by Nathan Verge who could get a sweet ride out of the now ten-year-old gelding and be the ones to challenge if staying up the gruelling steep home finish. Bridge Of Spies and Wind Tor stand out as likely favourites in the Intermediate race which is sponsored by a group of farriers. Bridge of Spies (George Beilby) won his restricted race here in January under jockey Nick Lawton, he had previously run second at the December meeting and looks to prefer a left handed track. 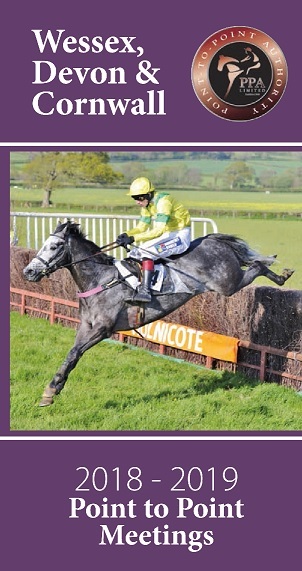 He should go well if recovering from his recent fourth at Chipley Park two weeks ago. Wind Tor (Ed Walker) looked to be staying on at Chipley Park finishing sixth under Josh Newman in his first outing this season, and could challenge if improving for that run. Mujadel (Teresa Clark) won his maiden here in January and looks progressive to take the Hutchinson-sponsored Restricted race, his main challenger could come from entry Acadian for trainer Heidi Lewis, who also won his maiden at this course, and was only denied by a head when awarrded second behind Bridge Of Spies in his Restricted race at the January meeting here when ridden by Lee Drowne. With the huge covered barn containing on course facilities such as hot and cold refreshments and food, bar, bookies and a number of trade stands. The course has excellent track side viewing to get close to the action. Entrance is £10 per person, children under 16 are free. Dogs on leads welcome. 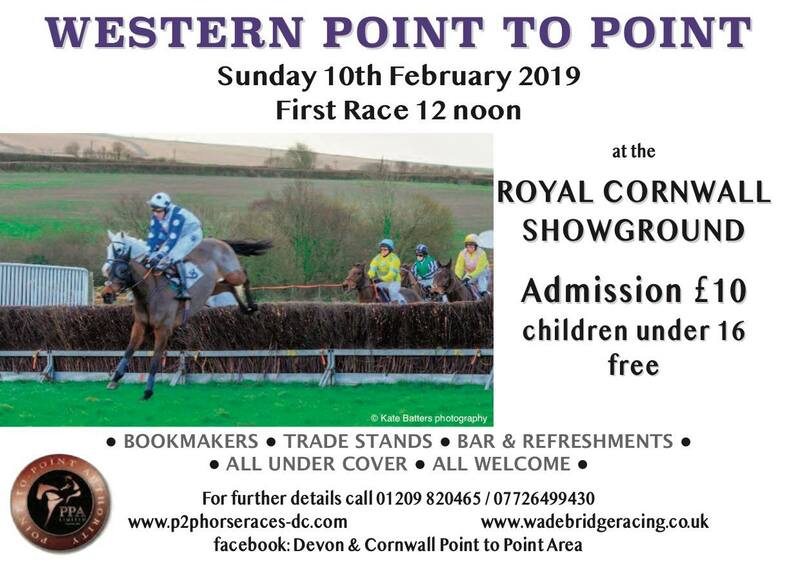 Location is The Royal Cornwall Showground, Wadebridge. Postcode PL27 7JE.